Under new ownership and after more than $2 million in repairs and upgrades, a once-shuttered golf course in New Kent County is back in business. 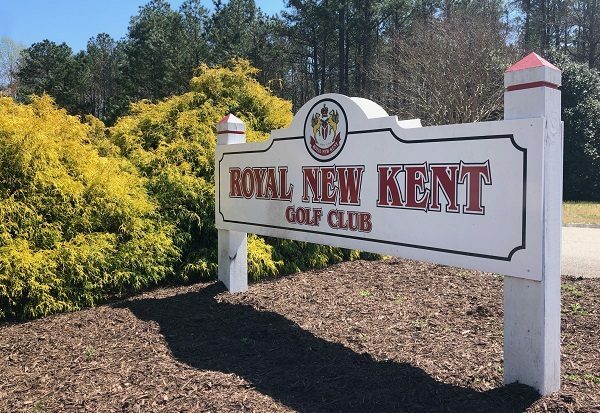 Royal New Kent Golf Club reopened March 29, with golfers paying to play the grounds for the first time since previous owner Traditional Golf left it for dead in late 2017. 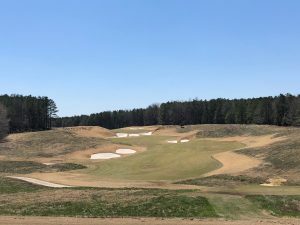 The 280-acre property has been revived in the last nine months by South Carolina-based Wingfield Golf, which along with a group of investors, including some locals, purchased the course last summer for $1.1 million. 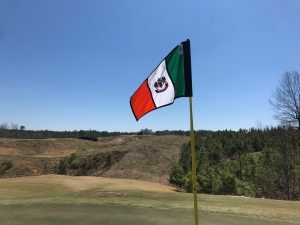 “She’s a-christened,” said Wingfield CEO Barton Tuck, adding that about 60 players showed up the first day the course reopened and 90 the second day. Royal New Kent was one of the last courses that Mike Strantz designed. 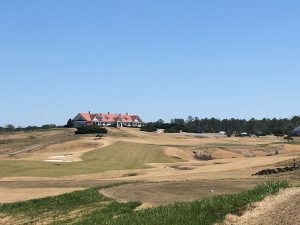 It took truckloads of sand, sod and dirt to bring the Royal New Kent back up to par with its original design by the late Mike Strantz, an increasingly well-known course architect who designed only seven courses before his death at 50. In addition to a sprucing up after the course had become overgrown in the last 18 months, course upgrades include changing the greens from bent grass to Champion Bermuda grass, a new fleet of carts, fixing up the clubhouse and redoing 105 sand traps with the help of 2,300 tons of sand. “That’s a lot of sand,” Tuck said. Tuck, whose company also owns the nearby Club at Viniterra, said the biggest cost overrun was related to fixing 190 inlets, which are essentially sinkholes that had developed around parts of the course’s irrigation and drainage system. 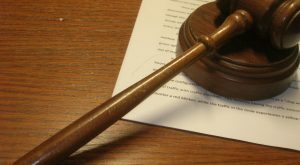 Remedying those cost $200,000. 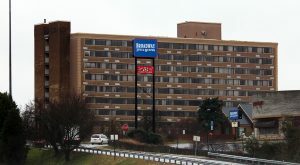 The total tab for Royal New Kent’s revival thus far has run to about $2.1 million, Tuck said, financed with equity from investors and a loan from C&F Bank. Newly hired superintendent Mathieu LeCompte, who came over from Fords Colony Country Club, oversaw much of the renovations. The course design was inspired by Royal County Down Golf Club in Ireland. The effort was centered on bringing the course back up to the standards of Strantz’s design, a difficult layout inspired by his time spent at Royal County Down Golf Club in Northern Ireland. That included bringing back a group called Land Innovations, which shaped the course for Strantz when it was being built in the mid-1990s. 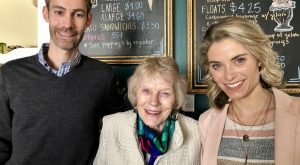 Tuck said he also reached out to Strantz’s widow, who had kept many of her late husband’s sketches of Royal New Kent, some of which now are framed in the course’s clubhouse. General Manager Chip Sullivan, a former PGA Tour member and veteran club pro who came over from King Carter Golf Course in Irvington, said he is tasked with reminding the golf world of what Royal New Kent was when it first opened to much fanfare 22 years ago. “The challenge is to first of all give the customers a great experience and understand what a prized possession this is,” said Sullivan, who also had stints at the Jack Nicklaus-designed Castlewoods Country Club in Mississippi and Ashley Plantation Country Club in Roanoke. “It hadn’t been in the best shape and (the previous owners) gave the course away at a low price (per round). We’re trying to offer an experience that’s on a national level, not a county level. I think that’s a tricky endeavor at first because it’s always just been considered one of the courses around town at $40. People around town don’t realize what they have in their backyard. The course is known for its difficulty and its bunkers. Daily fees at the course range from $55-$75 on weekdays and $75-$95 on weekends, with discounts for seniors, the military and first responders. Sullivan said they’ve budgeted for 15,000 rounds in the first year. Willie Downs, one of the local investors in Royal New Kent, said while they hope to drive business from players between Richmond and Hampton Roads, they’re betting that Strantz’s following will bring players who are on golf excursions from further afield. “Our target is the interstate customer on their way to Pinehurst and Tobacco Road golf clubs in North Carolina,” Downs said. He added that the soon-to-reopen Colonial Downs racetrack, which sits just up the road and also has been closed, also should help drive traffic to the course. Royal New Kent does have plenty of competition, including from within a few miles. It was one of three local courses left in a state of uncertainty in late 2017 by Traditional Golf. The others were Stonehouse and Brickshire, both of which have found new owners. 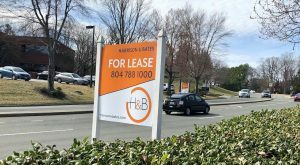 Brickshire, which remained open, was purchased by its surrounding neighborhood association for $2 million. Stonehouse, like Royal New Kent, was left closed and unkempt for months before finding a local buyer that spent $800,000 in December 2018. On putting his latest investment in play, Tuck, whose company now owns eight golf courses, said Royal New Kent has what it needs to succeed. The rest is up to him and his operators. “If it doesn’t work now it’ll be because we screwed it up,” he said. The renovated clubhouse at Royal New Kent. 2 Comments on "‘Prized possession’ local golf course reopens after 18-month hiatus"
Absolutely astonishing that New Kent Golf Course can be bought back from the dead when Belmont Golf Course, a classic Tillinghast design with a storied history, can be allowed to languish and possibly close. 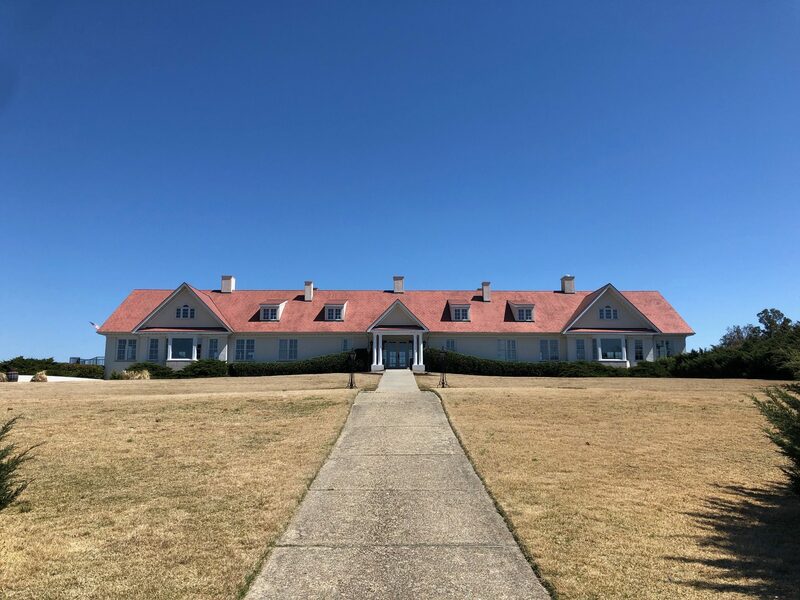 Keep golf in Lakeside and support preservebelmont.org, attend the Henrico County input meetings and let your representatives know that we value this historic asset.